The Ohio Soy Sustainable Summer is officially more than halfway through our 22 county fair schedule! Last week, we were at the Greene County fair slightly southwest of Columbus. 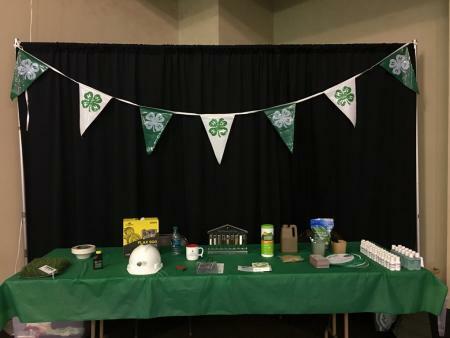 We were lucky enough to be set up inside the Assembly Hall, out of the blistering sun, and surrounded by 4-H and FFA youth projects on display. Brad and I spoke to these bright students, many of which we are confident will be the next generation’s leaders in the bioeconomy. As we explained the emerging need for biobased products, we attracted many farmers to our table. Most of these agriculturalists had not heard of products made from commodities they grow, and were excited by the future of bioproducts as are we. Be sure to follow us @OhioBioProducts on Twitter to keep up with the rest of our county fair schedule this summer!